There are several ongoing projects on accelerating quantum chemistry codes using CUDA-enabled GPUs, including work on Gaussian and GAMESS. 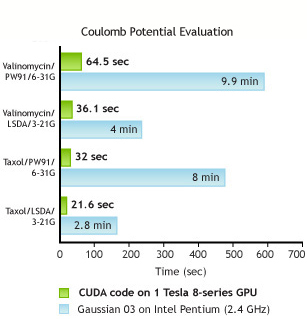 The charts below are representative results, followed by links to software and technical reports on CUDA acceleration of computational chemistry. 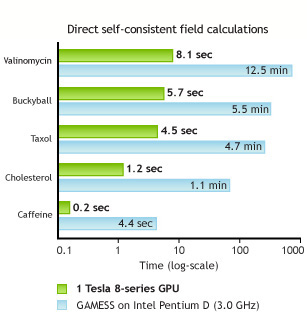 Computational Chemistry simulations 5x faster. Try it now on a free, remotely-hosted cluster.